Front bumper, front skirt, rear bumper and rear skirt. 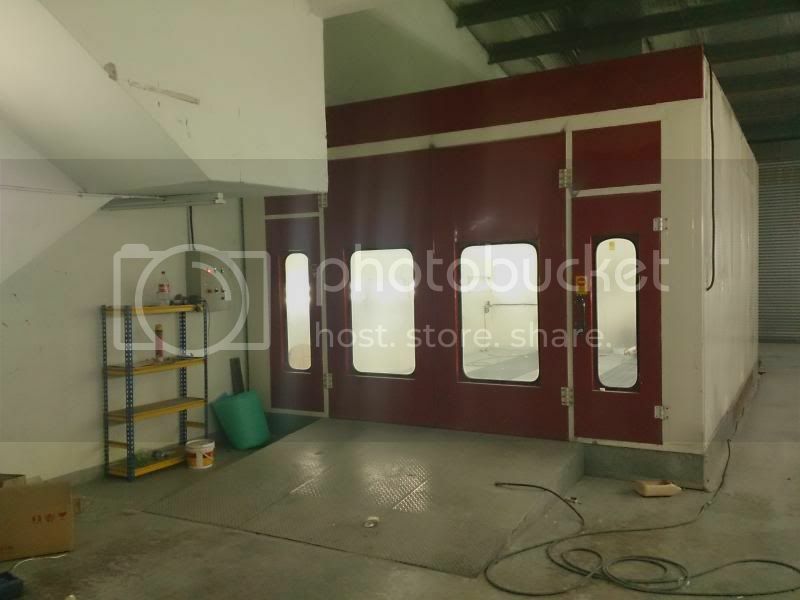 Just acquired new paint booth. Be the first few to try it and get a discount! PM for more information. Thank you everyone! For pearl based paint exterior repaint estimated price is around RM2,000, while for inside-out it is RM2,600. We can assist in installing the body parts, or if you need us to source for it also can. Best if you can drop by our shop at BF Auto Spray & Services, No.1 USJ 1/6C Subang Jaya 47620 (Contact: Mr. Peter 014-321 3660). am currently at the stage of wondering whether or not to repaint my car and if i do, what colour. also have only basic understanding of the repainting process. if you would, could you kindly drop me a pm on a rough description on repainting a mazda mx-5 NA exterior and inside (engine bay etc.) in metallic silver? does it also pose some logistic problems since it's an open top car? Hi boss, I think you also PM-ed me on Lowyat.net right? I replied you there already. Thank you! How much for cl7 euro r repaint to golf r blue? How much for full body solid paint, Plum red for inspira? hi bro, do u spray rim? hw much to spray stock rims myvi to matte black color and hw long wud it takes ? How much to respray satria NEO bonnet, original black. Existing top coat worn off only. PM me the GPS location of your shop. Thanks. How much for kelisa yellow/black color?